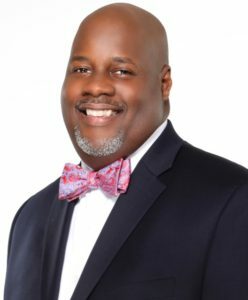 Born in Washington, DC on February 23, 1969, Pastor Darrell Bernard Reddix (known as “Pastor D”) is the youngest son of Brother Sanatone and Deacon Constance Reddix. Pastor D was educated in the District of Columbia public school and graduated from McKinley Technical High School in 1987. He received his Paralegal Certificate from Barclay Career Institute, and now pursuing his Bachelor Degree in Psychology. His life growing up was never a dull moment. His home was the “go to house” because of the constant joking and laughing going on, especially during football season. It was during these formative years with family and friends that Pastor D attributes his comedic ways. Pastor Darrell rededicated his life to the Lord Jesus Christ and joined Shiloh Abundant Life Center (“Shiloh”) in Forestville, MD in July 1992. He has served faithfully in many capacities such as head of the audio ministry, lifeline leader, covering Elder for Shiloh’s Ministers and Elders Council and has taken on various roles within the youth department including teen church teacher, young adult fellowship coordinator and youth pastor. Pastor Darrell also serves on the Board of Trustees. He has served faithfully as the U.S. Liaison Officer for the Jamaican Diocese of the International Bible Way Church of Our Lord Jesus Christ, Inc. under the leadership of his mentor, the Diocesan Bishop Darnell Leach. He was ordained as Deacon in June 1998; licensed as a minister in December 2001; and ordained an Elder in July 2002 before being elevated to the office of Associate Pastor in October 2013. He now serves as the Lead Pastor of Shiloh Abundant Life Center of Atlanta with his wife of 23 years, Minister Tracie S. Reddix, and under the leadership of Shiloh’s Founders and Overseers, Bishop Darnell and Dr. Anita Leach. Pastor D is an anointed teacher and preacher whom God has chosen to be a witness of His love and transforming power. Whether spreading the Gospel to one or to the masses, Pastor Darrell’s simplistic yet powerful way of expounding on God’s word leaves the unbeliever and believer alike wanting to know and grow closer to the Lord Jesus Christ. He not only leads by example, but enjoys equipping others for service unto God and watching them grow. Although quiet in his demeanor and serious about the call of God upon his life, Pastor D never forgets to enjoy the life God has given him. He loves to laugh, make others laugh, and spending time with his wife, family and friends. Pastor Darrell counts it a blessing to be the father of Darrell Jr. — also known as “DJ.” He is also the proud godfather to several godchildren, a mentor, brother, and friend to many. Pastor Darrell realizes God has brought him a mighty long way, and he continues to stand on Isaiah 40:30-31 to carry him the rest of the way. He is a man of prayer, power and purpose who walks in integrity; loves the Word of God; lives the Word of God; and spreads the Word of God every opportunity he gets. Tracie Starlyt Reddix was born on March 16 in Washington, DC to Mary Moye and the late Reginald Andrews, Jr. She attended DC Public Schools and graduated from McKinley Technical High School in 1987. In the same year, Tracie began her career within the federal government which has spanned over 25 years. Growing up, she was known as “daddy’s girl” with her “mother’s smile.” She attributes her love for people from watching her mom — who many affectionately called “Ma.” “Treat others in the same way you want to be treated” were words Tracie frequently heard from her mother. These words continue to resonate with Tracie and she strives to put them into practice. At an early age, Minister Tracie accepted the Lord Jesus Christ and was baptized at Refreshing Spring Church of God in Christ. During her young adult years, she joined Shiloh Abundant Life Center (Shiloh) in Forestville, MD in August 1992. Minister Tracie is an encourager who is anointed to serve. She uses these God-given gifts to edify the Body of Christ and minister to the unsaved. She has served faithfully on many ministries and committees such as treasurer for the women’s ministry, lifeline leader, financial administration, adjutant, and Ministers and Elders Council. She also served within Shiloh’s youth department where she taught all ages and was the coordinator of the young adult fellowship with her husband. Whether teaching, mentoring, or just spending time with them, Minister Tracie enjoys imparting into the lives of young people. She has been blessed to see many of them grow to have families, careers and serve in ministry. She also has the privilege of being a godmother to some of their children. Minister Tracie was ordained as Deacon in 1998; accepted the call to preach the Gospel in 2007; and received her license in 2009. 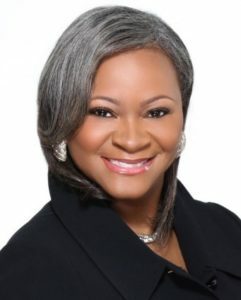 She now assists and serves with her husband at Shiloh Abundant Life Center in Atlanta under the leadership of Shiloh’s Founders, Overseers and mentors, Bishop Darnell and Dr. Anita Leach. Minister Tracie is a devoted wife to Pastor Darrell Reddix and the proud mother to Darrell Jr. She is also the proud godmother to several godchildren and spiritual mom, auntie, mentor and sister to many. Minister Tracie enjoys traveling, taking drives, and spending time with family and friends. She wants her legacy to be that she served and loved God, while serving and loving the people He sent her way.